Frank Tortorich, a fifth generation Amador County resident, retired educator, Pioneer and Gold Rush historian, scholar and author will be speaking in on Saturday, November Nov. 10 from 2-3PM at The Methodist Church on Main Street in Sutter Creek. Frank's topic will be The Gold Rush Trail: How the 49er's Came to the Gold Diggings. Frank has spent over thirty years studying Early California, Pioneer and Gold Rush history, published books, is a Forest Service historical consultant, and has been a featured speaker at numerous Pioneer History conventions and events around the western states. The Sierra Amador Chapter of the National Society Daughters of the American Revolution (NSDAR) will hold this November meeting 3:00 pm, Thursday, November 8th, at the Church of the Nazarene, 14050 Ridge Rd, Sutter Creek. All are also invited to join our tea at 2:30 pm. 11/8: In honor of Veterans' Day, Barbara Reid will share up-close and personal memories of events in Hawaii and their impact on family members during and after the Bombing of Pearl Harbor. The Community is invited to join us for lunch and to hear Barbara speak. Barbara's husband was stationed on the USS Arizona, while she was living at Waikiki. Now 94, Barbara will describe these personal experiences. 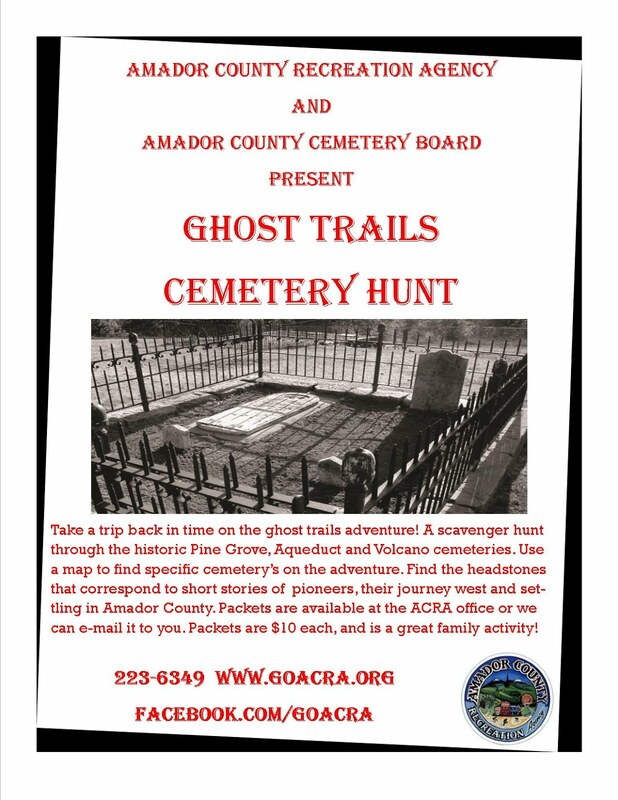 Tom Slivick talks with Phil Giurlani, Vice President of the Amador Historical Society, about the current state of the Amador County Museum. What you’ve been waiting for! Experience a mystery haunting at the strikingly eerie Preston Castle in Ione. Visitors will be guided by the spirits of the wards who lived there. It will be a safe, fun, and somewhat scary evening. Special activities for kids. Our third Haunted Castle event will be even bigger and better this year. Four nights this year over the last two weekends of October. 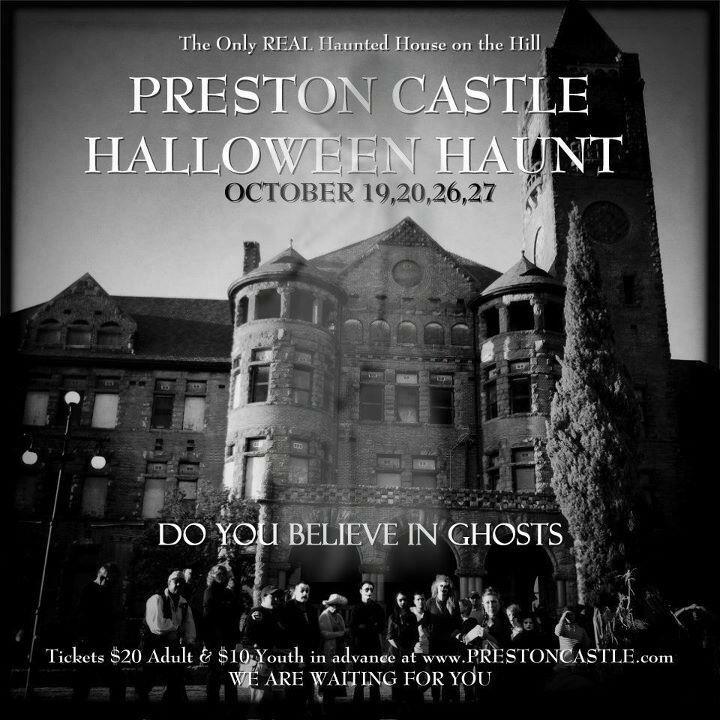 For more information and photos visit www.prestoncastle.com, or call 209-256-3623. Tickets available online and at Clarks Corner and Curves in Ione, and the Celtic Knot in Jackson. A book signing opportunity will also be provided by Rex, author of: Blood, Fire and Faith; How Freedom Became a Country. The community is also invited to participate in the 12:30 pot-luck luncheon which precedes the 1:00 meeting.